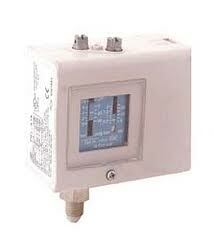 Customers tell us that this is the best pressure switch made. The Mercoid D Series is one of the world’s broadest lines of pressure switches. Whatever your application might be, it is most probable it can be fully satisfied with a D Series pressure switch. The D Series has extremely high sensitivity and great repeatability. The DA Models are equipped with two external adjustments, one for setting high pressure operating point, the other for setting low pressure operating point. Deadband, the difference between high and low set points, is adjustable over the full scale. 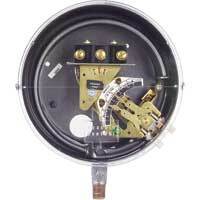 The DS Models are equipped with a single external adjustment for setting operating point only. The deadband is fixed at a factory setting and cannot be altered in the field. For switches choose between the snap action switch, hermetically sealed snap action switch and hermetically sealed mercury switch. contacts, a pressure is kept inside a certain limit. • Adjustable pressures and differentials. • Narrow adjustable differential depending on model. • Range & differential pointer in units bar and psig. • High rated SPDT contacts for all versions. • Captive terminal and cover screws. • Manual toggle for system checkout and override. • Automatic and manual reset versions. • Factory set to customer specifications. • Different types of mounting brackets. DIN 8901 and EN378 (super cedes DIN 8975).